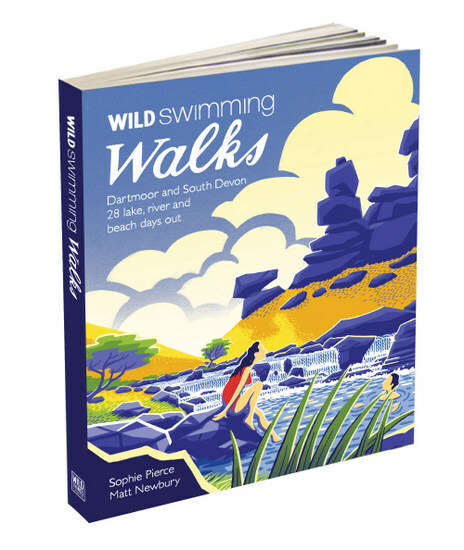 The famous wild swimmers of Devon and Dartmoor share their favourite walks with a dip. Featuring wild waterfalls, secret lakes, river meadows and sandy seaside secret beaches. Dartmoor and South Devon are renowned for their natural beauty and stunning landscapes. Each year Dartmoor receives 2.4 million visitors, from all over the UK. It is the unofficial UK capital of wild swimming, and home to the Dart 10k, one of the UK’s fastest growing outdoor swims. Here, passionate wild swimmers Sophie Pierce and Matt Newbury share their favourite walks with a dip. Part of the best-selling Wild Swimming Walks series, this stunning guide features country walks that include wild waterfalls, secret lakes, river meadows and sandy seaside secret beaches. Rich with stories, photos and natural history, this book will appeal to wild swimmers, nature lovers and ramblers. Complete with detailed directions, maps and practical inspiration – perfect for families, walkers and swimmers alike. Includes downloadable route information to print out, or take with you on your phone or tablet.